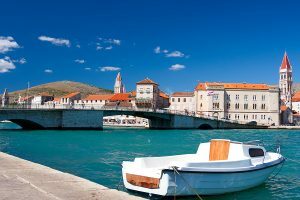 Be sure to visit the medieval walled villages of Trogir and Korcula, Croatia and explore the many little stone-paved streets inside each village’s stone walls. Klapa singing by men, unique to Dalmatia, Croatia can often be heard within the walls, especially in the mornings in Trogir near the cathedral. 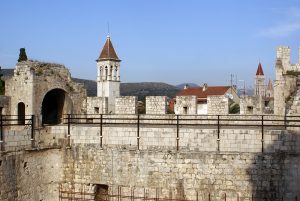 Klapa singing is age-old in Dalmatia and consists of a cappella singing in a group including a first tenor, a second tenor, a baritone, and a bass. Boys are identified at an early age as to their singing voice range and then learn all of their singing parts for traditional Dalmatian songs. 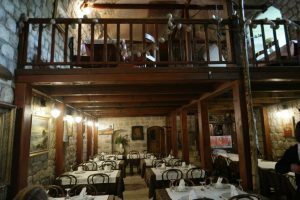 Klapa singing has been declared a UNESCO Intangible Cultural Heritage of Humanity and can break out at any time a group of men might be together drinking or eating. 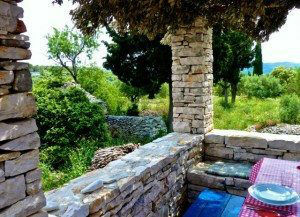 Located throughout Croatia, this is a unique food experience known as a Homestead “restaurant”, where, usually with reservations required, a family will prepare foods traditional to their area, cooked in a traditional way, such as under the Peka Bell for Dalmatian Homesteads. 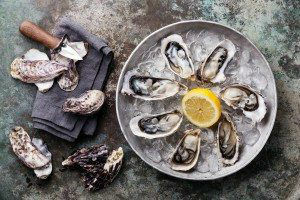 The cuisine served is comprised of their home farm raised ingredients, including free range meats, freshly caught seafood, home pressed olive oils, homemade breads, jams, and even homemade wines, and brandies. 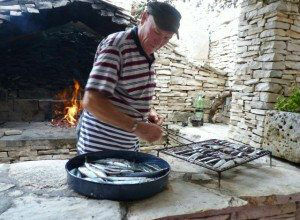 We particularly like the Gulin Farm Homestead experience. 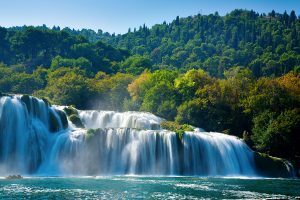 Located on the Krka River, and now a Croatian National Park, this series of lovely natural falls, are surrounded by walking trails and boardwalks from which to enjoy the flora and fauna of the area and many indigenous species of birds and animals. 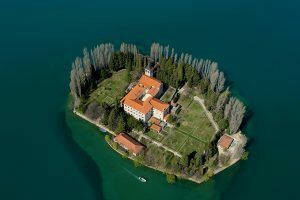 Also located within the National Park are ancient and medieval ruins and Lake Visovac with a Franciscan monastery on Visovac Island. Within the National Park is a little created living museum village, with an active blacksmith, and weavers, along with a “washing machine” powered by the falls. 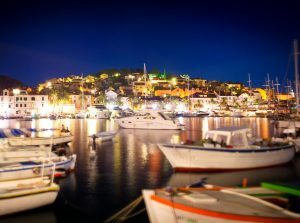 Said to be the Croatian San Tropez, Hvar Town, lovely during the day, comes alive at night, with nightlife starting at Hula Hula, and continuing around midnight to Carpe Diem nightclub and Carpe Diem Beach nightclub on a neighboring small island. 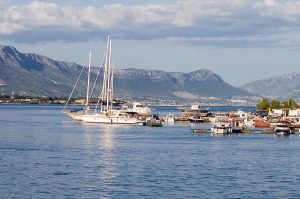 This is dusk to dawn night life for those that love a lively environment, and for those that want only peace and quiet, there are many anchorages around the island of Hvar that are far from the maddening crowds. 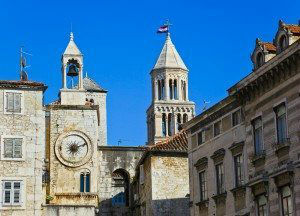 Right next to Diocletian’s Palace and also right next to the daily seafood market, Nostromo with daily seafood menu additions is a great location to have lunch before or after visiting Diocletian’s Palace for terrific food, as prepared by internationally known Chef Zlatko Marinovic. Reservations required. 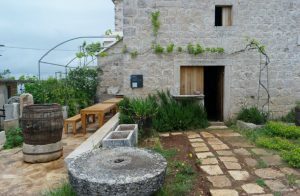 Inland on the island of Brac, is this lovely olive oil museum within over a century old olive oil manufacturing “factory”, that has been owned by the same family for several generations. 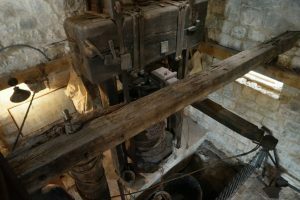 Today, for a small entrance fee, a family member is available to explain the manufacturing of various levels of olive oil once produced within this building in the age old manner in which olive oil was once produced before modern technology. 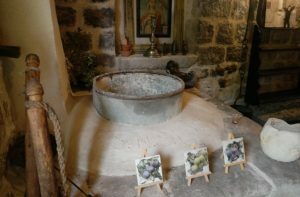 And also, as part of the tour is an olive oil tasting of various levels of olive oil produced from locally grown olives. 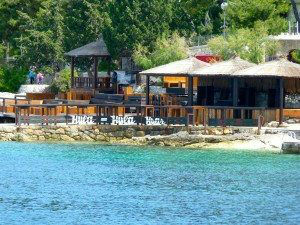 Located along the Croatian coast are shell fish farms of oysters and mussels, Croatian Mari culture at its best. 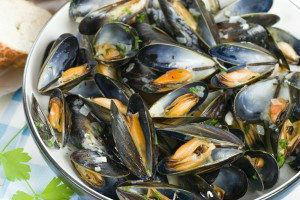 For a fresh taste treat, your Chef can purchase straight from the water, as fresh as can be, oysters and mussels. 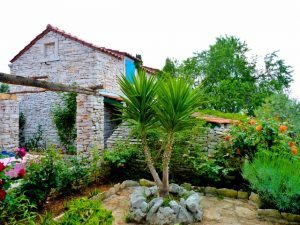 Located in one of the premier shell farm locations of Croatia, Bota Sare Restaurant in Mali Ston, has a lovely setting on Ston Bay, with tables arranged both outside in a courtyard garden and inside in a cozy interior. 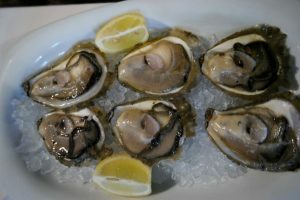 Fresh shells, both oysters and mussels, are offered in many different manners, including raw, grilled, gently fried, or cooked in a special Dalmatian or Bouzara style. 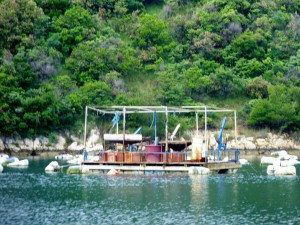 Be sure to try the grilled oysters, grilled fresh over a wood burning fire which are outstanding. 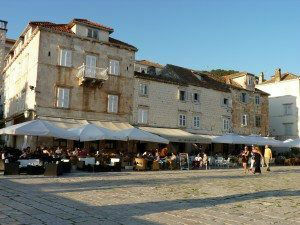 And like any other seafood restaurant Bota Sare also serves a full array of other seafood, such as fish, shrimp, crab, calamari and octopus. 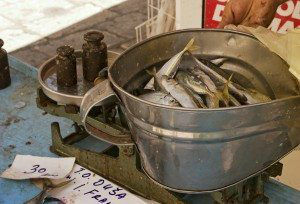 And if there is a non-seafood diner in your group, there are plenty of other dishes and salads on the menu from which to choose. 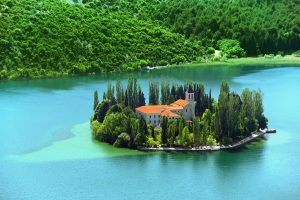 Cruising from shell farm to shell farm on a crewed luxury yacht charter in Croatia can be as fun and enjoyable as cruising from winery to winery. 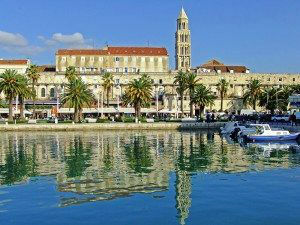 In fact, consider combining the two and enjoy both shell fish tasting and wine tasting on the same cruising itinerary.